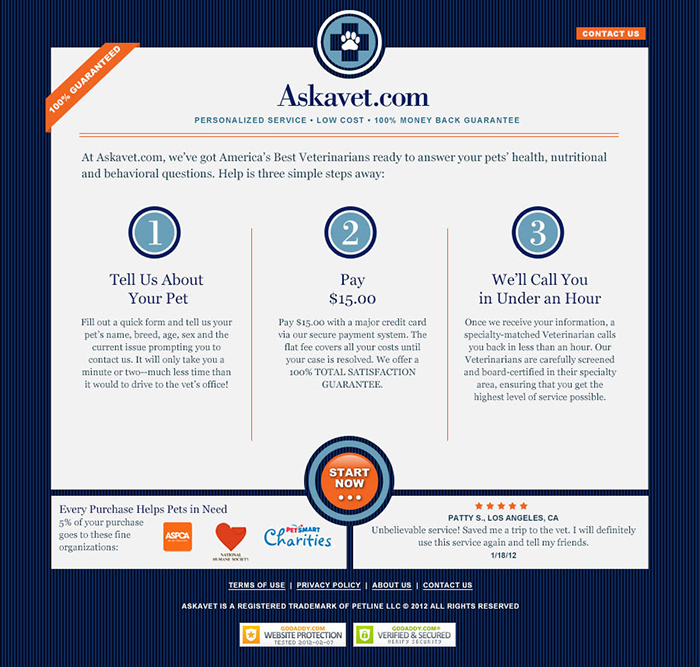 Askavet.com provides pet owners on-demand access to pre-screened Veterinarians. The site caters to users who want quick, accurate answers to medical questions about their pets. The design called for a clean, easy-to-use interface. Askavet wanted to launch two distinct designs to measure different marketing approaches, as you can see here.